It is easy to think of Mercedes Benz as a manufacturer that produces only high-end luxury vehicles. However, the company sells a lot of Sprinter vans. There are many who find value in a Mercedes that is built to carry cargo. For some, the logo simply does not mesh with heavy work or hauling cargo and they pass on the opportunity to buy a Mercedes Benz Sprinter. The 2017 Mercedes Benz Sprinter takes aim at the commercial market by offering both passenger and cargo van versions. This vehicle improves on the 2016 model with elements like roof heights, seat configurations, and wheel bases. Owners can rely on the fact their 2017 model works even harder with its new chassis, engine, and body configurations. The 2017 Mercedes Benz Sprinter provides a solution for just about every business need. Some owners equip their interiors with work boxes and refrigerators. Other configurations include refits for ambulance needs, tool compartments, mover accommodations, pet grooming, passengers, and layouts for just about every business need imaginable. The 2017 Mercedes Benz Sprinter happens to be one of the most advanced commercial vans available on today’s market. If offers ample diesel engine power, plenty of cargo or passenger room, and advanced safety features. This is the van owners are driving for business success. Many customers choose the 2017 Mercedes Benz Sprinter for its warranty plans. The basic warranty plan covers four years or 50,000 miles. The powertrain warranty covers four years or 50,000 miles. The rust through and roadside aid warranties both cover four years or 50,000 miles as well. 2017 Sprinter owners know they can navigate the roads with confidence. The 2017 Mercedes-Benz Sprinter comes with several configurations including, passenger, cargo, and crew van. The cargo has a short-wheelbase or long-wheelbase, and a low or high-roof configuration. The passenger van has a low-roof and short wheelbase. There are several standard features on the worker van that include Crosswind Assist and a decent stereo system. The 2017 Mercedes Benz Sprinter offers a choice between two engines. The 2.1-liter, four cylinder, turbo-charged diesel that delivers 161 hp is one choice. The second choice offers more horsepower with a 3.0-liter V6 diesel engine and 188 hp. This provides plenty of power to carry loads or passengers. The 2017 Mercedes Benz Sprinter offers a number of convenience amenities including heated mirrors, in-dash info center with enhancements, cruise control, and pre-wiring to hitch trailers. There is also a Utility Package that offers wood cargo flooring, cargo bay LED lighting, grab handles, and rear door glass. Additional amenities include blind-spots monitoring, and a rearview camera system. Owners can configure their Mercedes Benz Sprinter with a number of options. This makes it a very versatile van to own. Owners can choose a two-place front passenger seat, alloy wheels, air conditioning mounted on the roof, various colors at no cost, and an assortment of cargo management devices. Mercedes Benz may save business owners money by bundling options into the van’s financing along with installed pre-delivery. Many owners choose the 2017 Mercedes Benz Sprinter because of its safety features. There are side curtain, passenger, front, and thorax airbags. Crosswind Assist helps keep the vehicle under control and moving forward through brake inputs that apply to individual wheels. Lane monitoring, blind-spot monitoring, and a forward-collision system all work to help ensure that drivers will arrive safely at their destination. Customers purchase the 2017 Mercedes Sprinter because of its brand history. Mercedes Benz has a long history of innovating new technology and bringing it to the market. Technological leadership is a constant mission at Mercedes Benz. Owners love the fact that research, development, production, and aftermarket functions are there to support their purchase. Customers know their 2017 Mercedes Benz Sprinter relies on a superb sales and service department. Customer satisfaction is a top priority. Customer attention ranks high as well. Customers know that Mercedes Benz has a reputation to uphold and that the company will go out of its way to make sure every customer remains satisfied. Mercedes Benz offers service and support nationwide, and dealerships employ more than 21,000 people. While the 2017 Mercedes Benz Sprinter offers Crosswind Assist, there are still reports, by some, of handling difficulties in heavy crosswinds. The challenge could also be due to the van’s height. This can be a deterrent for some owners. The Sprinter offers an excellent warranty package. Many vans will accumulate a lot of mileage. Once the warranty expires, or for those repairs not covered by a warranty, repairs can be expensive compared to some vehicles. Yearly maintenance costs may average between $1500 and $1800 dollars for the Sprinter. Not every owner will experience challenges with varying dealership pricing for parts and services. However, some owners have complained of price variations from one dealership to the next since dealerships set their own prices. Some customers would prefer a standard price across the board for parts, services, and maintenance costs. The 2017 Sprinter comes with a lot of amenities that make it a valuable purchase. However, it does have competition in its class. 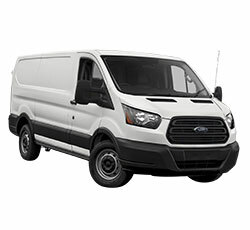 Competing vehicles include the Ram ProMaster, Ford Transit, Nissan NV, Chevrolet Express, and GMC Savana. The Mercedes Benz Sprinter holds its ground with comparative pricing, flexibility in configuration, and a customer services platform that is second to none. Any company or individual looking for a full size van for carrying loads or passengers should find the Mercedes Benz Sprinter to be the ideal choice. It comes available in three body lengths, three passenger configurations, and three roof heights. 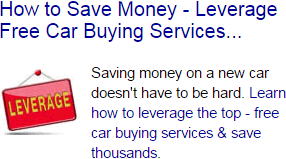 Owners can congigure their van for any need. As such, it is popular among individual and commercial owners.